In the south, the hot, sun-drenched vineyards of the Languedoc and Roussillon wine regions don’t just produce loads of inexpensive wine under the Pays d’Oc umbrella. Some AOCs, such as Corbières, Minervois, Coteaux du Languedoc and Côtes de Roussillon offer a magic mix of great value, history and fascinating herbal (garrigue) and fruity flavors.A new hierarchy has recently been agreed upon for Languedoc appellations, with AOC Languedoc wines at the bottom of the pyramid, followed by Grands Vins de Languedoc (such as Saint-Chinian and Faugères) and finally the Grand Crus du Languedoc (such as Pic Saint Loup and La Clape).A veritable alphabet soup of grape varieties are grown, with the most common being Syrah, Carignan, Mourvèdre, Grenache and Cinsault. 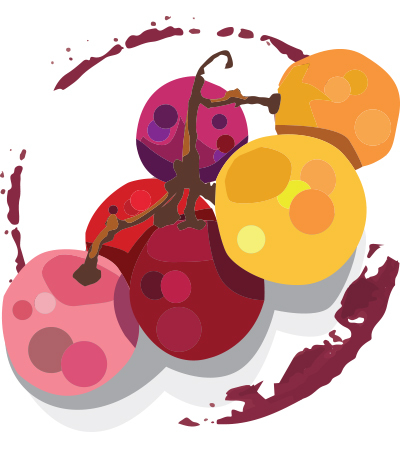 Search our Languedoc-Roussillon wine guide’s hundreds of Languedoc-Roussillon wine reviews for more details on individual wines and for our comprehensive database of Languedoc-Roussillon wine ratings.